Last year, EA Sports scored a bona-fide hit on the Wii with Tiger Woods PGA Tour 10, the first game in the series with MotionPlus functionality. (The game was packaged with one MotionPlus unit.) Apparently, though, many of the folks who bought a copy last June have had their fill of virtual golf -- or, to be precise, of Tiger Woods -- for now. 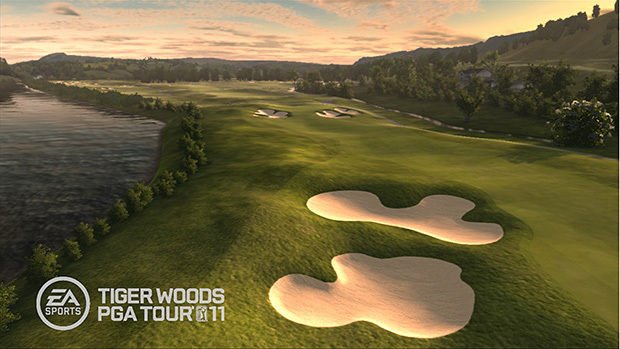 Tiger Woods PGA Tour 11 failed to place in the top 20 games sold in June 2010 on any platform, meaning that no version of the game -- which is available on PlayStation 3, Xbox 360, Wii, and iPhone -- managed to sell more than 100,000 copies. According to GamesIndustry.biz, sales were down 68% year-over-year across all platforms, but the drop for the Wii version was the most precipitous at 86%; with some simple math, that comes out to a meager 38,100 sales in June 2010 versus 272,400 in June 2009. Although this is probably due in part to the fact that last year's version shipped bundled with Nintendo's new MotionPlus controller, we are concerned that Woods' scandal woes may have permanently damaged the sales potential of what we believe to be EA's third most important sports franchise, behind Madden and FIFA. Maybe next year's golf game will just be called "PGA Tour Golf" or something.